Be part of the first Homeschoolers Week at River Expeditions! River Expeditions welcomes homeschool groups to join together in exploring West Virginia’s New River Gorge including its history, nature, culture and of course, adventure! Package includes 3 nights camping, 2 days on the river (Monday – Thursday) with lunch, dinner after first day rafting and light breakfast daily. Plus enjoy a welcome reception at the Fire Creek Lodge with a National Park Service Ranger led presentation. Other activities include a scavenger hunt and visit to the local Youth Museum for an immersive experience in literacy. Experience history, nature, culture and endless adventures in West Virginia's New River Gorge National Park. 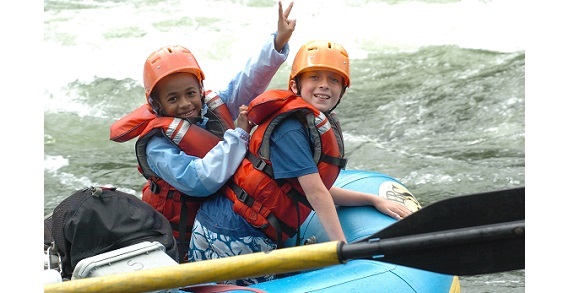 Let River Expeditions, the area's only family-owned adventure outfitter, be your host for whitewater rafting, scenic float trips, and zipline tours, as well as camping and cabin rentals. River Expeditions features affordable, family-friendly vacation packages based on your schedule, budget and interests. Play and paddle in the great outdoors as your kids learn to love adventures the entire family can enjoy together for years to come. Kids age 6 and up enjoy a gentle, introduction to rafting on this low-impact adventure that's perfect for grandparents too! Disconnect from devices and immerse in nature as you make deeper connections with family and friends. Stay on site at River Expeditions beautiful, spacious campground complete with RV sites or choose one of their cabins from Rustic to Luxury with 5-bed/2-bath, fireplace, hot tub, kitchen and more. They even offer the 4th night lodging free so you can stretch your visit and your budget. 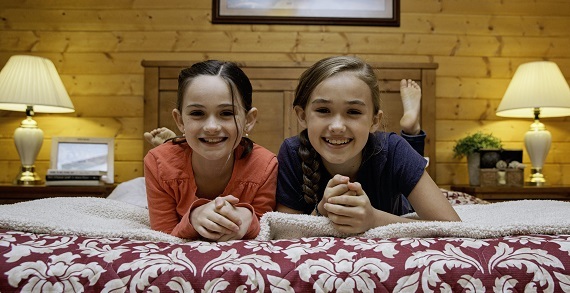 Amenities at River Expeditions include an outdoor pool and hot tub, restaurant, lodge with Wi-Fi, massage studio, kids arcade, gift shop, saloon, sand volleyball, hiking trails, disc golf, corn hole, sundries store, meeting space and much more. Their professional staff is committed to sharing their passion for adventure. 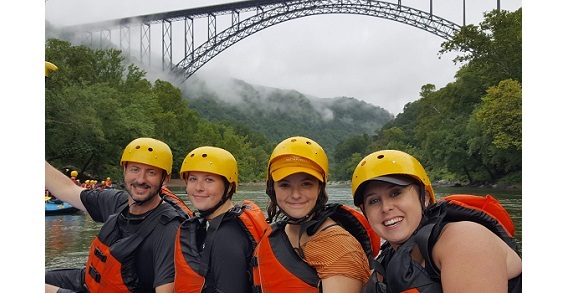 Explore the New River Gorge with River Expeditions and discover the difference a family brings to their own business. 4545 W. Dublin Granville Rd.